An aqueous dispersion adhesive which offers excellent wet grab and benefits from an early build up of strength. It is protected against biodegradation and is suitable for use over normal underfloor heating installations. Long established with over 40 years on the market, it is now well recognised as the UK’s most used flooring adhesive. 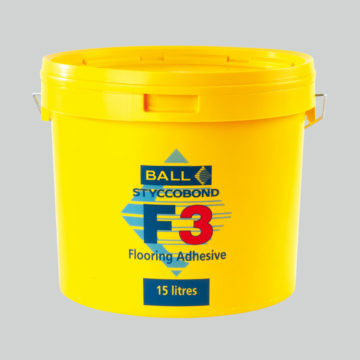 It commands around 70% compatibility with the 5,000 floorcoverings in the Styccobond Recommended Adhesives Guide.